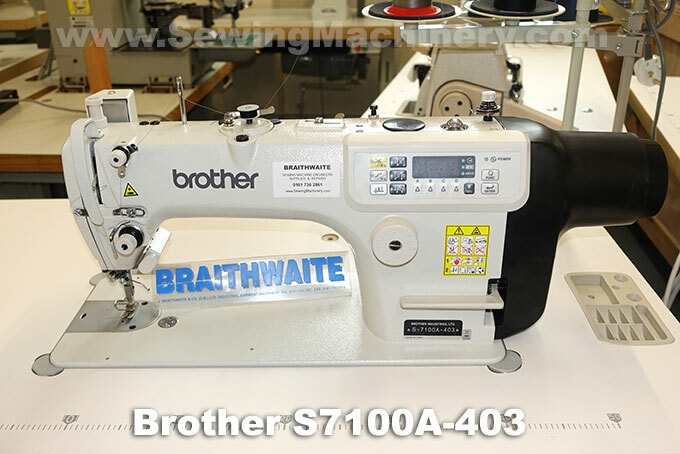 Brother S-7100A (replacing S7000DD model) industrial sewing machine with direct drive servo motor and automatic thread trimmer. 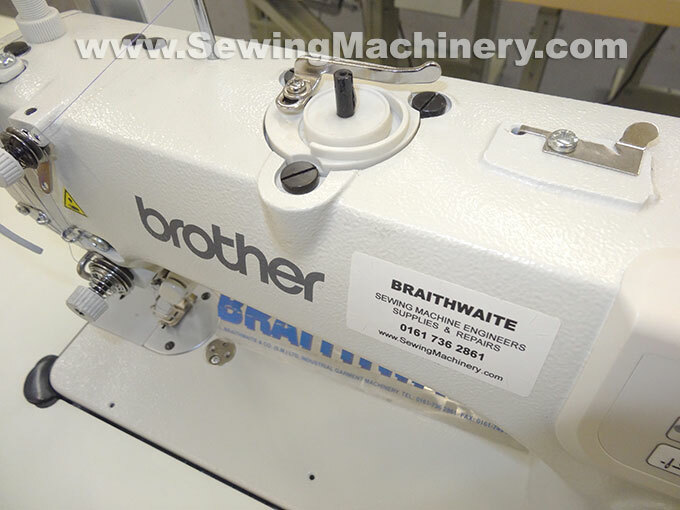 The driving servo motor is fitted on to the side of the sewing machine, with no need for external drive belts, saving up-to 50% energy when compared with conventional AC motors. 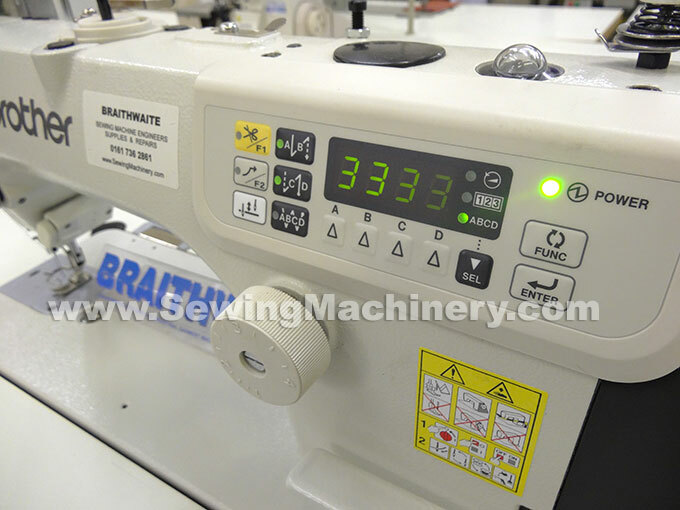 Built-in stitch count control panel with automatic reverse and back-tack functions. 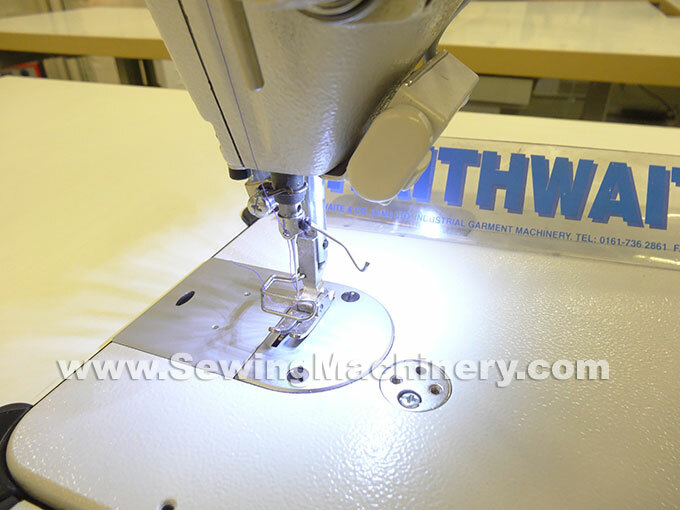 The machine is equipped with an integrated LED needle area light, auto thread wiper & quick knuckle operated reverse device. Standard knee operated foot lift or optional automatic electric solenoid foot lifter available at extra cost. 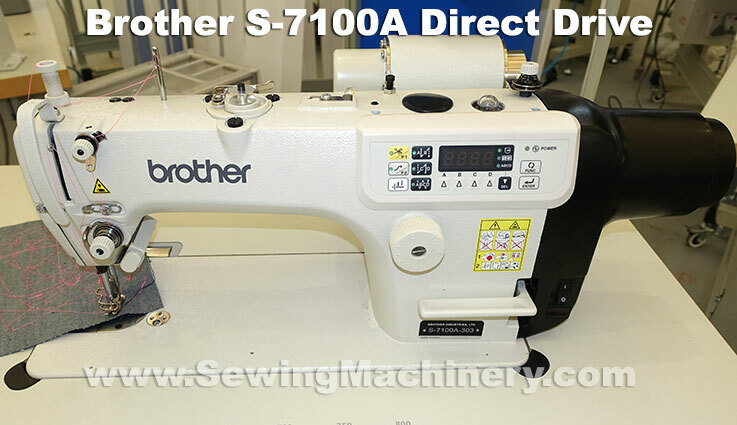 The S-71000A features an easy to use built-in operator panel; with start back-tack, end back-tack and other functions including: stitch count sewing and lower thread counter. A top mounted bobbin winder is fitted for easy winding and change-over of spare bobbins. A multi led "needle light" is provided, which is positioned to illuminate around the needle and foot area.